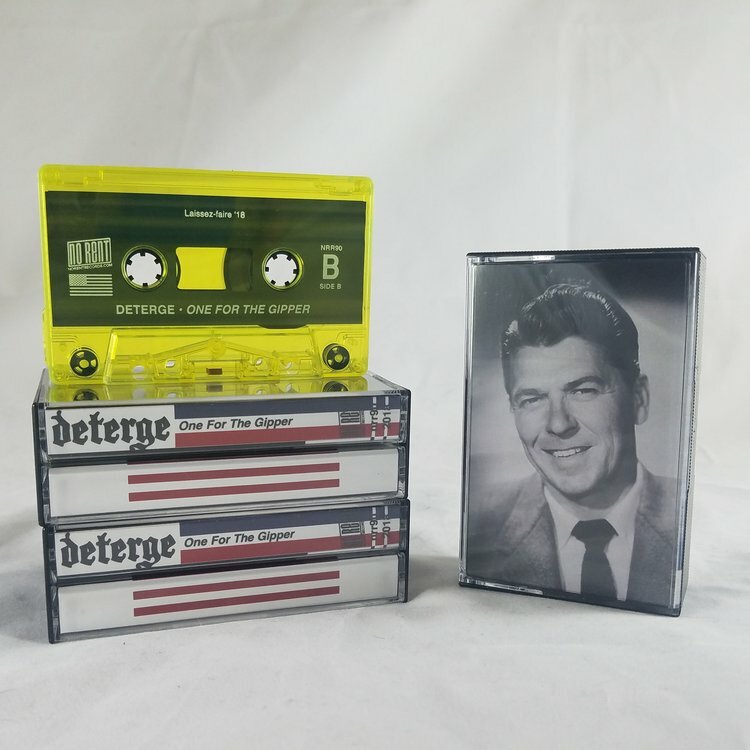 “Reaganomic Industrial” from Deterge. Side A is a half hour of extremely varied power electronics with lyrics sourced from Reagan speeches. Side B is a pummeling full 30 minute adaptation of a classic 1960's Reagan speech (made while campaigning for Barry GoldWater!!!??) - whose word count warranted the second jcard/ lyric sheet. Max individual order from NRR direct is 3 copies of this item. Prices are higher on bandcamp to accommodate higher fees. very excited for this one. Education without entertainment. Copies available NOW from Fantastique + over a dozen earlier No Rent titles. $5 flat shipping in USA. International buyers feel free to email me to receive a much more accurate shipping rate.